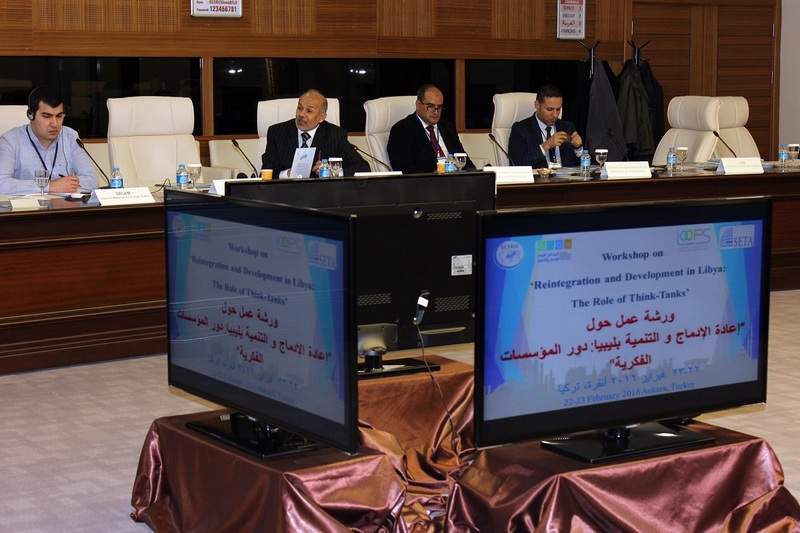 The Statistical, Economic and Social Research and Training Centre for Islamic Countries (SESRIC), a subsidiary organ of the Organization of Islamic Cooperation (OIC), the Foundation for Political, Economic and Social Research (SETA), the Libyan Programme for Reintegration and Development and the Libyan Organization of Policies and Strategies have organized a workshop on “Reintegration and Development in Libya: The Role of Think Tanks” on 22-23 February 2016 at SESRIC Headquarters in Ankara, Turkey. 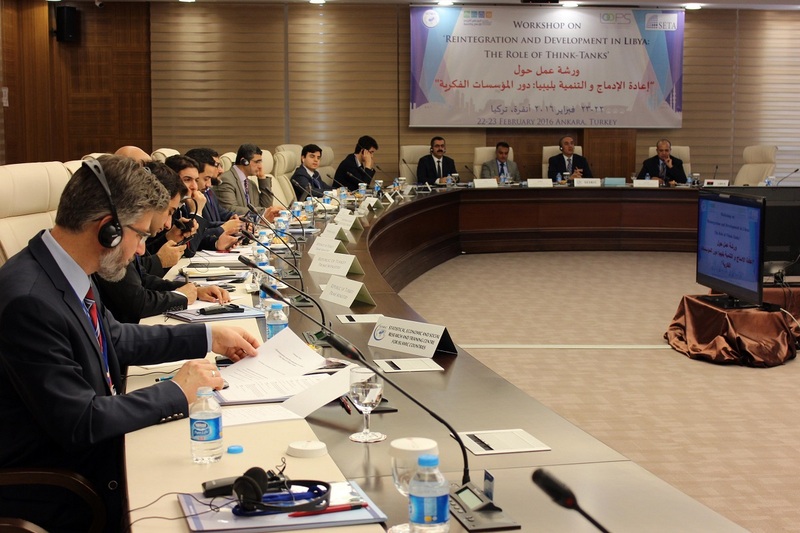 During the opening session of the workshop, Ambassador Musa Kulaklıkaya, Director General of SESRIC delivered a speech where he mentioned that state-building requires more attention in Libyan context, not in traditional terms where external actors are expected to actively intervene in the process of building the institutions of failing state, leaving behind a legacy of various structural problems. Rather an indigenous approach should be adopted where national actors are taking the lead and initiative with assistance provided by international intermediators when needed. He underlined that the Libyan state-building process needs sound policy making though developing and implementing policies that will lead to sustainable governance and more equitable and prosperous Libyan society. 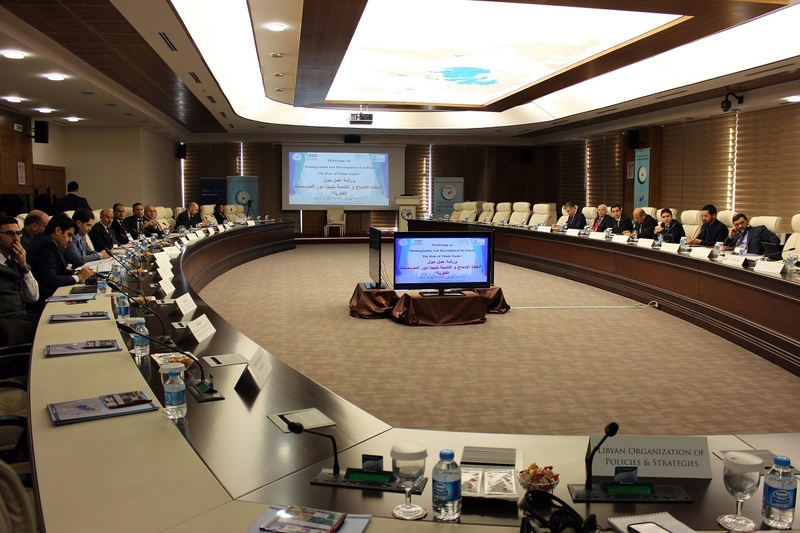 In this regard, thinks-tanks could play a vital role by conducting research and providing an evidence base for sound public policies amid several political constraints, Ambassador Kulaklıkaya said. He mentioned that in many other countries, in order to effectively influence public policy, Libyan think tanks need to develop their capacity in order for their research to have an impact on public policy making, and effective communication of their findings in ways that are accessible and understandable for policymakers and civil society actors. Prof. Muhittin Ataman, Deputy General Coordinator of the Foundation for Political, Economic and Social Research (SETA), Dr. Awad Ibrahim, Chairman of the Libyan Organization of Policies & Strategies (LOOPS), Mustafa el Sagezli, General Manager of the Libyan Programme for Reintegration and Development (LPRD) and Abdurrezak Muhtar, Libyan Ambassador to Ankara attended the opening session of the workshop and delivered speeches. 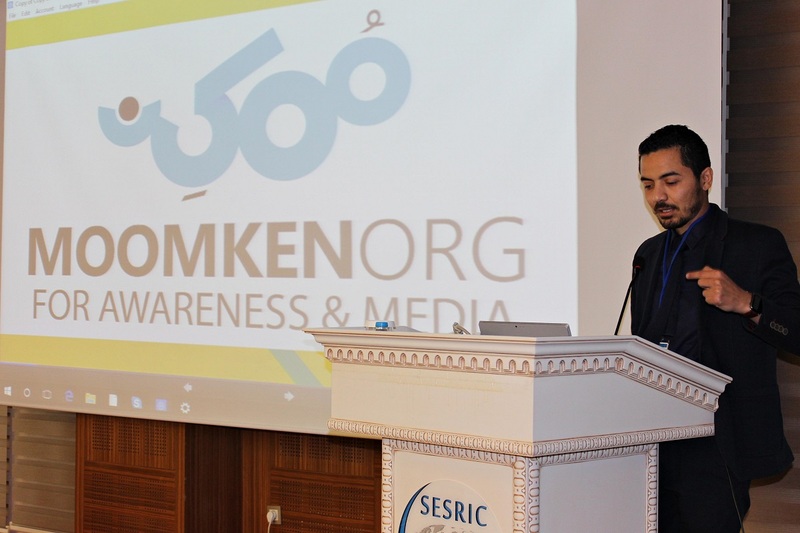 The main objective of the workshop was two-fold: first, to support independent policy research institutions in their efforts to carry out rigorous and independent research for better policymaking process and second, to enhance the capacities of the Libyan think-tanks to synthesize and package knowledge and evidence by translating research results into relevant and digestible content for varying audiences. 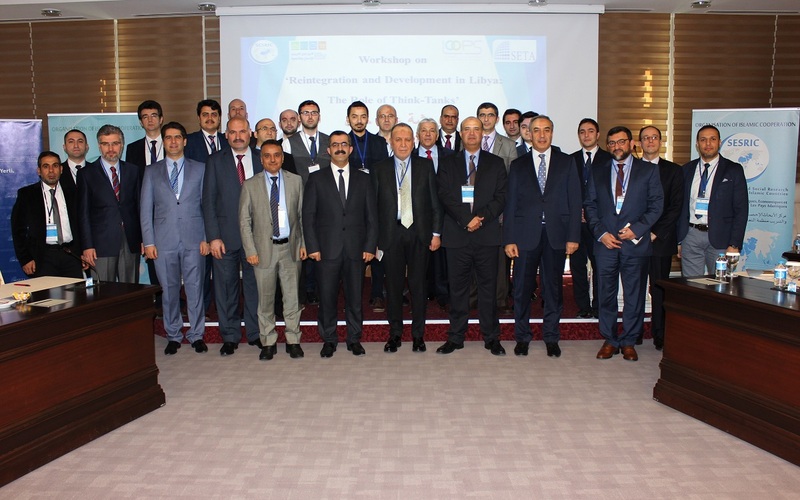 The workshop also aims at strengthening the engagement of the Libyan think-tanks with key partners and audience within Libya as well as Islamic world and others, with a view to supporting them to become strong partners towards achieving the change and progress in Libya. Managers and researchers of some active Libyan think-tanks, including Libyan Organization of Policies & Strategies (LOOPS), Moomken Organization for Awareness and Media, Libyan Center for Research & Development, Libyan Authority for Research, Science and Technology, Centre for Social Studies take part at the workshop as well as representatives of Turkish Think-Tank institutions like the Foundation for Political, Economic and Social Research (SETA), Center for Middle Eastern Strategic Studies (ORSAM), Association of Researchers on the Middle East and Africa (ORDAF) and The Ankara Center for Political and Economic Research (ASEM). 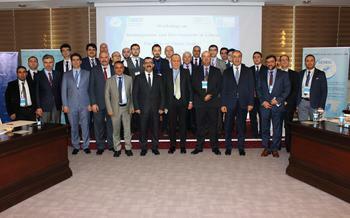 Representatives from the Republic of Turkey Prime Ministry also attended the workshop.